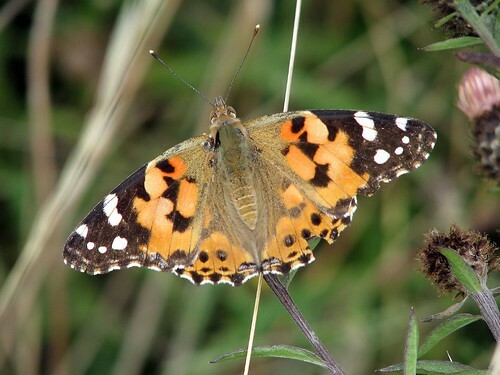 According to reports elsewhere in Sussex yesterday, a mass influx of Painted Lady butterflies is underway from the Continent. It’s worth looking out for them anywhere, but particularly on the typical butterfly-friendly flowers such as buddleia. More info on the invasion on the recent sightings page of the Sussex Butterfly Conservation website. This entry was posted in Local non-bird sites by Charlie Peverett. Bookmark the permalink.